August 2013 - Deb Arnold, Ink. Looking for a VERY compact way to understand global demographics? 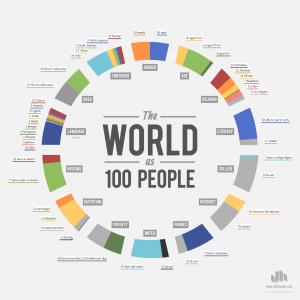 This handy visual looks simple but conveys complex data very simply and powerfully. What surprises you most about this data? Fantastic insights from Public Words. Nick Morgan and David Meerman Scott, two writers with valuable things to say about words, co-wrote a great post about a recent Rolling Stones concert in Boston (title above). Indeed, what does the 69-year-old rock star have to teach us? A lot. Here’s a summary. Jagger doesn’t miss a beat or waste a movement. Practice makes perfect. He’s always totally focused on the most important thing: his audience. Music is a great short-cut to emotional connection. Jagger uses it to the fullest. Jagger trains five to six days a week to get his incredible stamina. Don’t take the tech details for granted, even if it’s just a sound check. A true star, he knows how to work the stage to maximize the impact of audience interaction. What else can we learn from star performers? I’d love your thoughts.